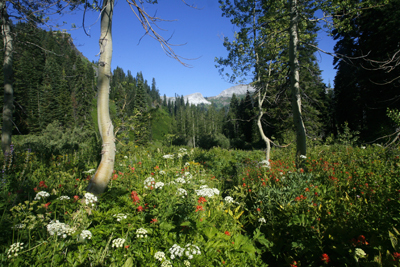 The mountain trails of the Illinois Valley/Kalmiopsis Wilderness open up earlier than many high-altitude areas in the state. 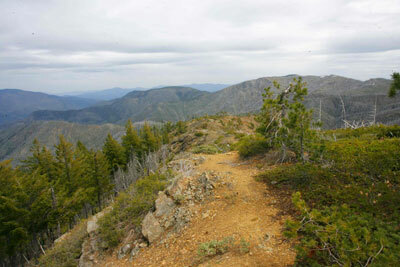 Here’s three trails located about an hour from Grants Pass that make a great place to get that mountain fix during May. 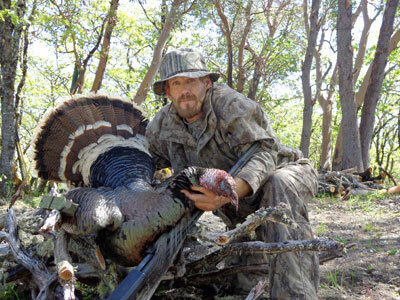 Tim Campbell of Merlin bagged one of the most uniquely impressive Rio Grande turkeys in the United States last week. 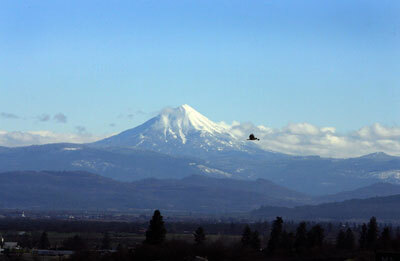 The bird had a whopping six beards and the second-longest total beard length in Oregon’s history. Humbug Mountain is a beautiful headland that rises 1,761 feet from the Pacific Ocean, located just south of Port Orford. 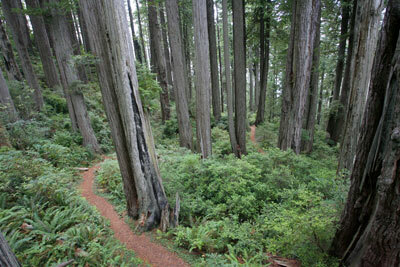 The mountain is home to a 5.5 mile loop through an old-growth coastal forest. Perhaps the most interesting aspect of the mountain, though, is the history behind its name. Below is a question-and-answer with Korbulic and Stookesberry. The award-winning film can be bought online here. 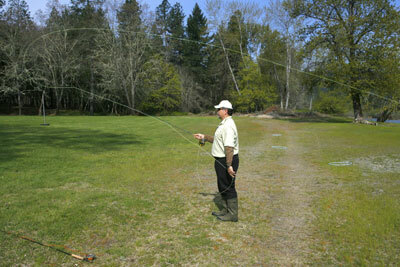 Spring trout fishing season is officially underway at local lakes from the valleys to the mountains. 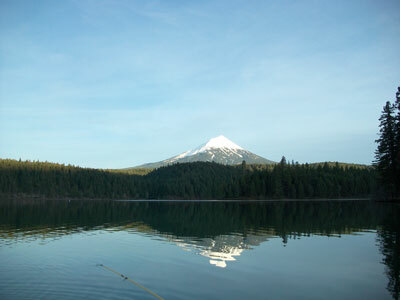 Here’s a breakdown of news and notes from Southern Oregon lakes, along with the information you need to land Oregon’s favorite fish. 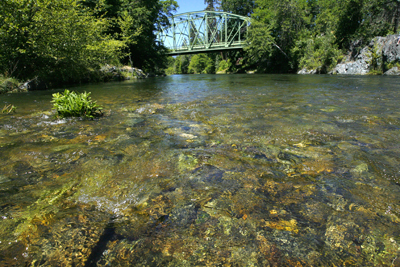 The Middle Fork of the Smith River is a stream that thousands of people driving down Highway 199 dream about running. There are some easy and very difficult floats, but actually getting on the river does provide some obstacles. 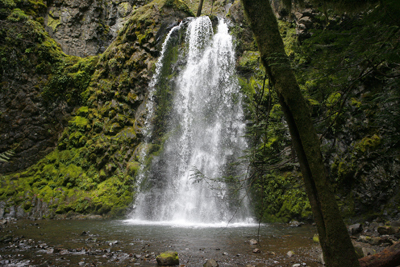 Among the countless waterfalls that dot the landscape in Southern Oregon, Watson and Toketee reign supreme. 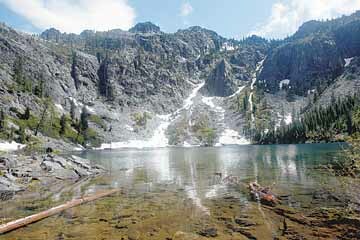 The two North Umpqua River/Diamond Lake area cascades are next-door neighbors and can both be reached on short trails that are generally open year-round. 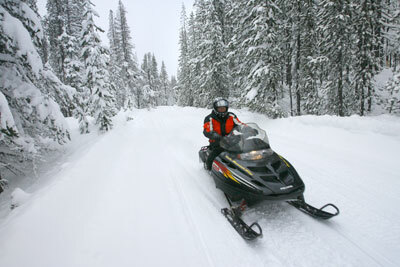 There’s nothing quite like exploring the snow-packed Cascade Mountains during winter and spring, and for those who enjoy the speed of snowmobiling, Diamond Lake Resort serves as the unofficial hub. 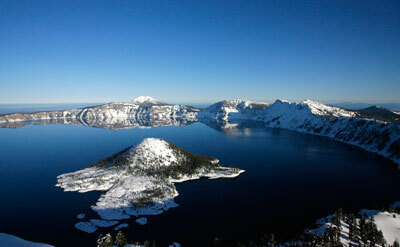 A network of around 300 miles of groomed trails allows visitors to zoom through the deep powder and travel to the rim of Crater Lake and the top of Mount Bailey. 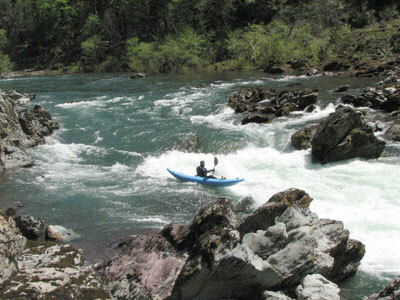 There’s few kayaking runs in Southern Oregon that bring together the views, solitude and adrenaline of the Deer Creek to Illinois River run near Selma. 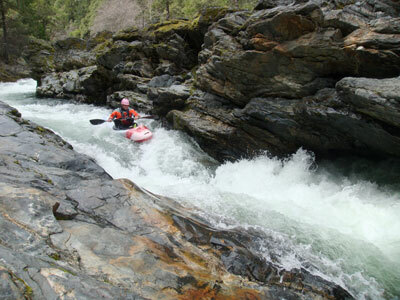 The route includes a few miles on a pretty little creek and another few on a large, famous section of river in an area close to Grants Pass. The goal of my new project is to produce videos that give people an idea of what it’s like to run a number of rivers and creeks in Southern Oregon and Northern California, while at the same time using music from local artists to add spice to the footage. A film about an Eugene-based cell of the Earth Liberation Front was nominated for best documentary feature at the 2012 Academy Awards. The story focuses on the radicalization of an unlikely New Yorker — who would eventually move to Oregon and take part in setting fire to the offices of Superior Lumber in Glendale — along with the serious consequences of his actions. In the 1930s, a poor gas-station attendant named Haldane “Buzz” Holmstrom started crafting boats from trees around his Coquille home and using them to run some of the West Coast’s wildest rivers. 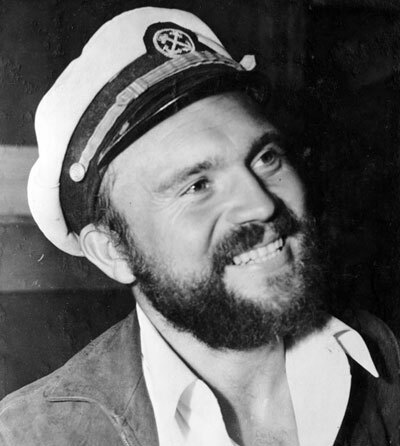 In the process, he made history and became the country’s most famous whitewater boater. A group of four local anglers went on a mid-January backpacking trip into the Kalmiopsis Wilderness on a quest for steelhead in the beautiful upper stretches of the Chetco River. Not everything went according to plan, however, and the group ended up having to bushwhack out through the snow. 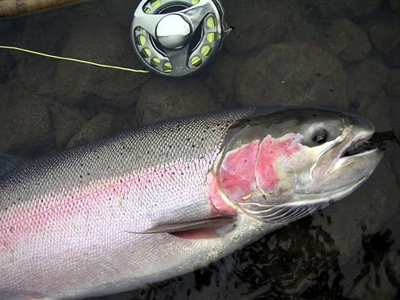 Winter steelhead are the big, fast, strong athletes of the river. 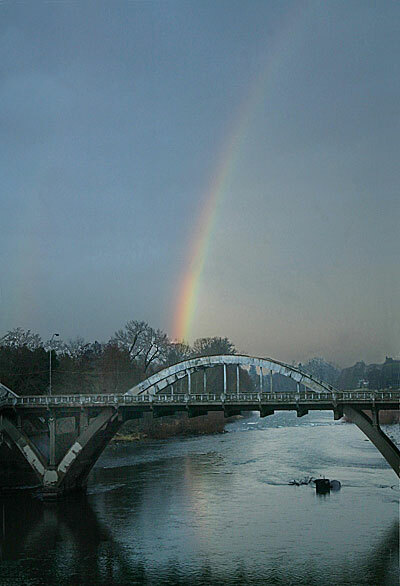 And with the Rogue River dropping back into shape and the winter season hitting its stride, I put together a detailed breakdown of winter steelhead fishing in the Rogue Valley and beyond. This past year I explored a number of amazing destinations in Southern Oregon, Northern California and beyond. 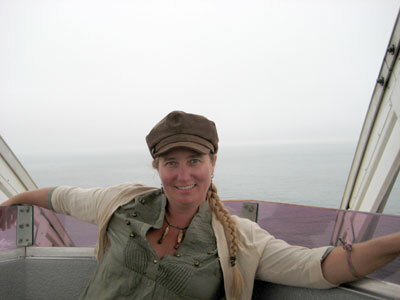 Listed here are my top 10 favorite trips from 2011. 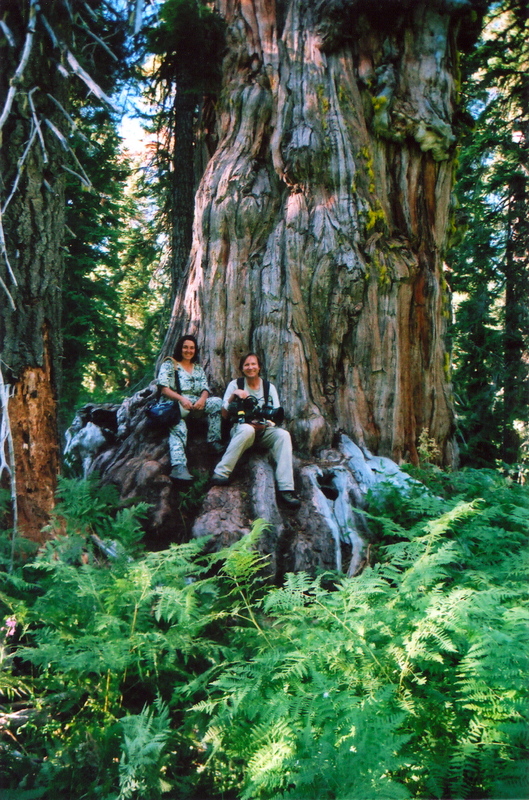 Stephanie Tidwell is the executive director of the Klamath-Siskiyou Wildlands Center — commonly known as KS Wild — an environmental organization based in Ashland that has a strong voice in the local outdoors scene. I sat down with Tidwell to learn what made her an environmentalist and what her organization’s views were on some of today’s most important topics. 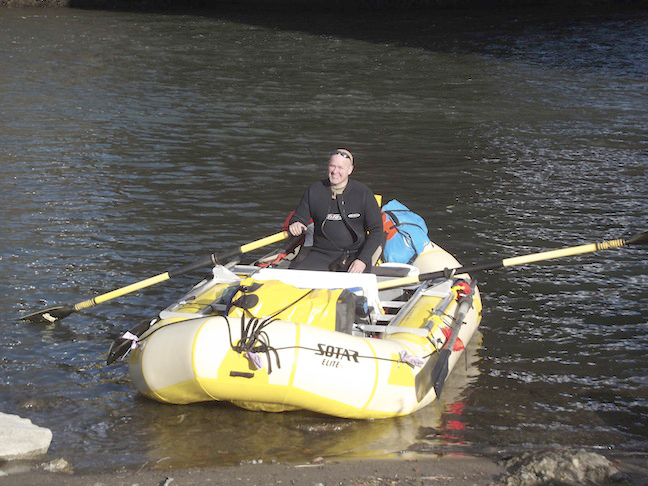 Kirk Sager became the first known person to ride the Rogue River 157 miles from Lost Creek Reservoir to the Pacific Ocean without taking his boat out of the water, a feat made possible by the recent removal of dams. 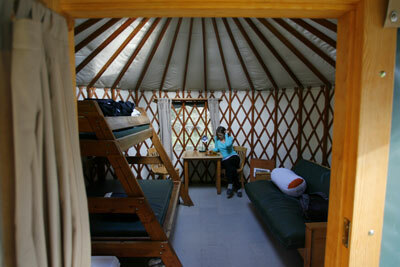 Yurts have become a popular option for those spending the night at Oregon’s state parks. I gave this funky alternative to camping a shot during a trip to Sunset Bay State Park on Christmas Eve, which also included a stop at Shore Acres State Park’s garden of holiday lights. 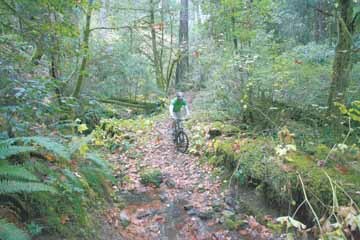 Not far from Grants Pass is one of the best areas for mountain biking in Southern Oregon. Taylor Creek Trail offers two fantastic and contrasting options for riders, including one that pays homage to the original Star Wars Trilogy. 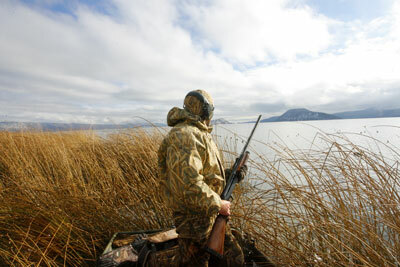 The beautiful Upper Klamath Lake is one of the best places for duck hunting in Oregon. 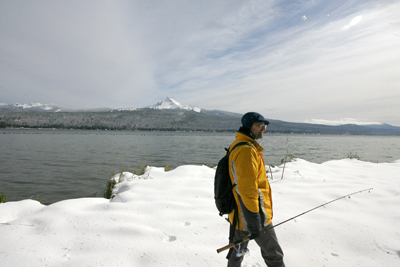 I spent a chilly weekend there hunting bluebills between the Cascade Mountains with old pro John Jones. 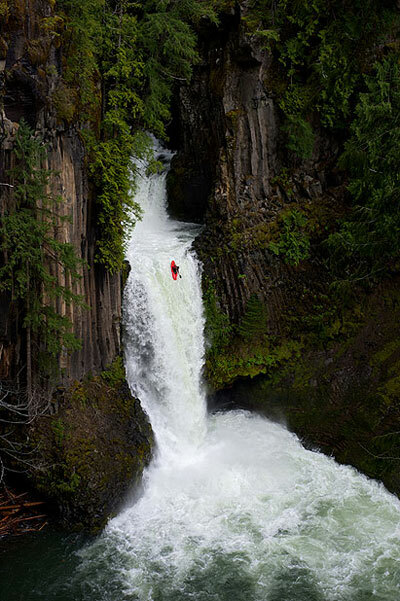 Darin McQuoid, who was born in Ashland, has become one of the best combination kayaker/photographers in the world. His ability run wild, remote rivers with a camera have provided a window into places few people will ever see. Winding through old-growth redwoods and providing access to a hidden cove along the ocean, Damnation Creek Trail is the best place to explore the magic of Northern California’s redwood coast. 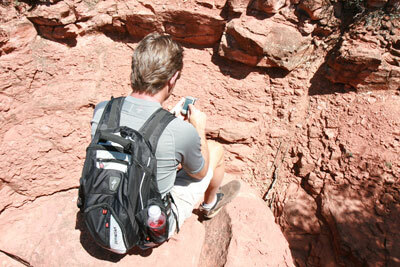 A few months ago, I bought a handheld GPS for hiking, hunting and mountain climbing. The results have been positive, except for the natural problem of becoming overdependent on the technology ... and what happens when it suddenly stops working. 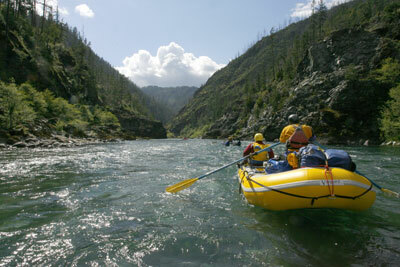 Want to craft the ultimate vacation for friends and family visiting Southern Oregon, without breaking the bank? Here’s the plan I put together for my parents, which includes the Rogue River, Siskiyou Mountains and Northern California Coast. Surrounded by mountains along the Klamath River, this remote outpost offers the chance to explore a stunning landscape in near solitude. 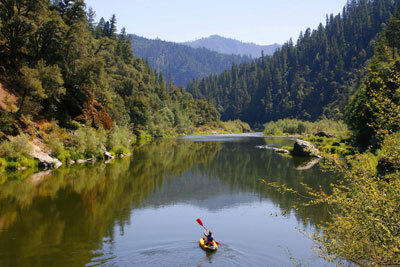 Here's a guide to fishing, kayaking and hiking this scenic wilderness. 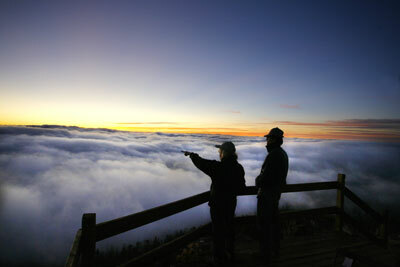 The drive to Mount Bolivar Trailhead from Grants Pass might take a while, but those who make the trip are rewarded with an easy hike that features fantastic views of the Wild Rogue Wilderness, along with a funky bit of history that connects Southern Oregon with Venezuela. 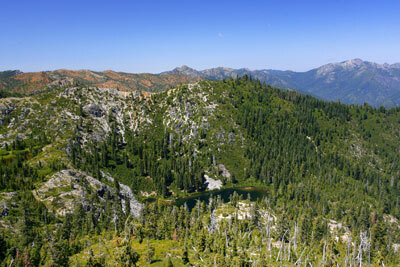 The Siskiyou Wilderness of northwest California is home to beautiful, remote and unique backcountry lakes. Here’s my top five list of the best ones, including those that are easy to reach and those that require difficult hikes. 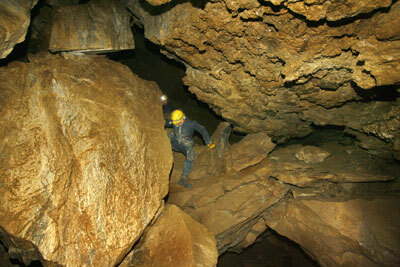 The off-trail tour at the Oregon Caves National Monument takes visitors into the depths during an experience that’s challenging, exhilarating and muddy. 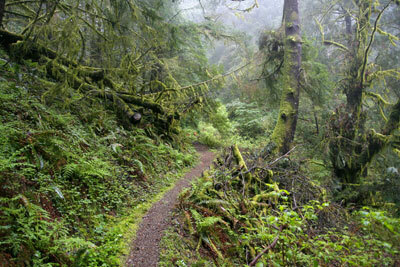 Southwest Oregon is filled with great ideas for outdoor adventure, but where to begin? Here are seven ideas for exploring some of this area’s lesser-known destinations, whether you’re backpacking, kayaking, mountain biking or looking to kick back with a glass of wine. 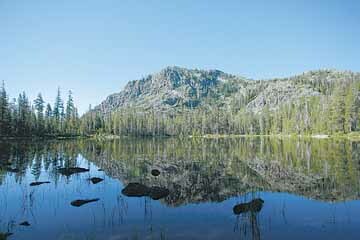 Island Lake is one of the most beautiful destinations in northwest California’s Siskiyou Wilderness, but reaching it requires hiking a highly difficult stretch of trail that climbs 3,000 feet in just three miles. 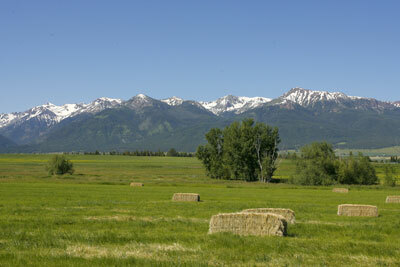 Eastern Oregon’s Wallowa Mountains are a vacation destination that offers something for everyone. 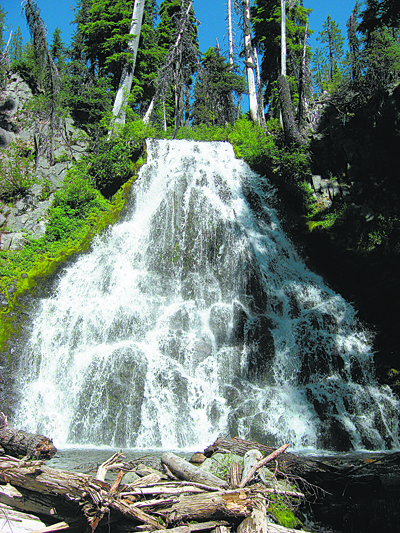 The town of Joseph provides comfort, Wallowa Lake State Park features outdoor entertainment and the Eagle Cap Wilderness is home to the state’s best alpine backpacking. 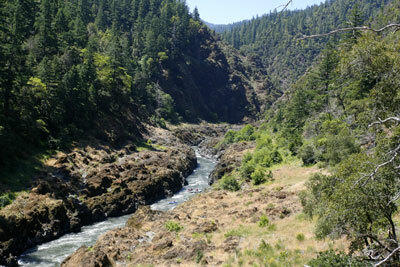 The 40 mile Rogue River Trail takes hikers through the Oregon Siskiyous’ most beautiful country. 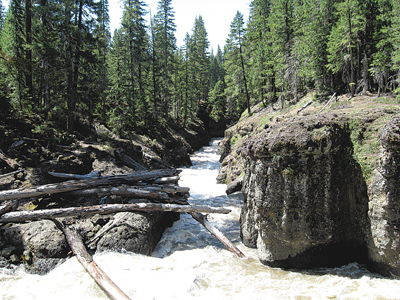 The best day hike, though, is between Marial and Paradise Lodge, where you can hike along Mule Creek Canyon and enjoy ice-cream at a remote riverside destination. 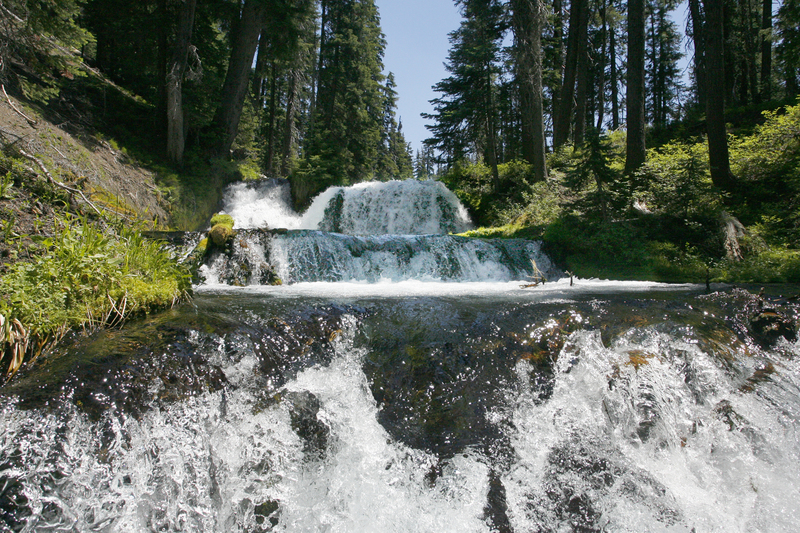 A hike to Boundary Springs takes you to the birthplace of the Rogue River and provides insight into its magic. 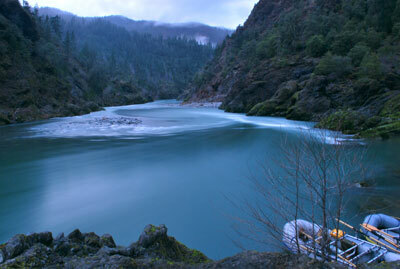 The Illinois River is one of the most beautiful, remote streams on the West Coast. 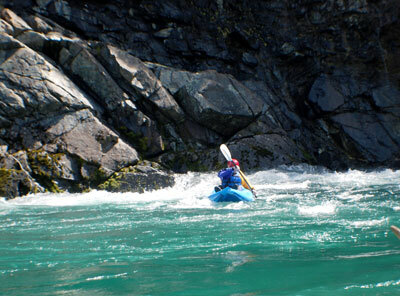 The 31-mile wilderness run takes rafters and kayakers through Oregon’s most rugged country — the Kalmiopsis Wilderness — and the unique geology keeps those with a scientific mind interested as well. 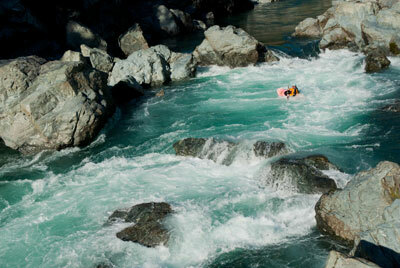 Inflatable kayaks have become an increasingly popular option for those looking to run serious whitewater. Here’s a look at what makes inflatables different from their hard-shell cousins, along typical price and options for IK boaters. A 1992 Rogue River High graduate reached the summit of Mount Everest, but nearly died multiple times on the descent after he was blinded and ran out of supplemental oxygen. 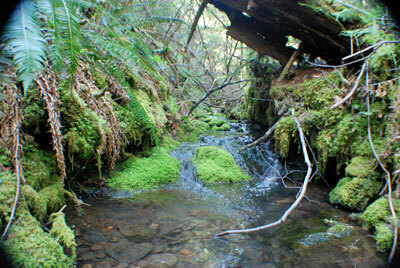 The Waters Creek Trails provide a collection of nice loops for hiking deep in the forest, a mere 20 minutes from Grants Pass. 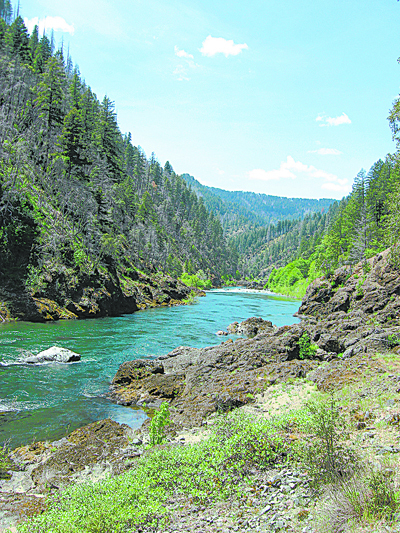 The North Fork of the Smith River is a wilderness run that’s among the most beautiful, remote and strange stretches of water on the West Coast. 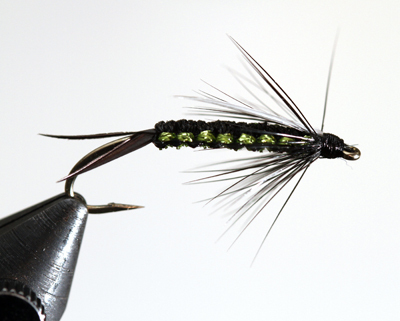 Fly-casting is a difficult skill to master, but to help make the process a little easier, world-champion Steve Rajeff came to Grants Pass to work with local anglers in a class sponsored by the Southern Oregon Fly Fishers. 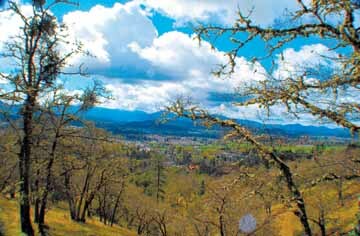 Dollar Mountain Trail is just a few minutes from downtown Grants Pass, but it features outstanding wildflowers in the spring and great views of the Rogue Valley year-round. 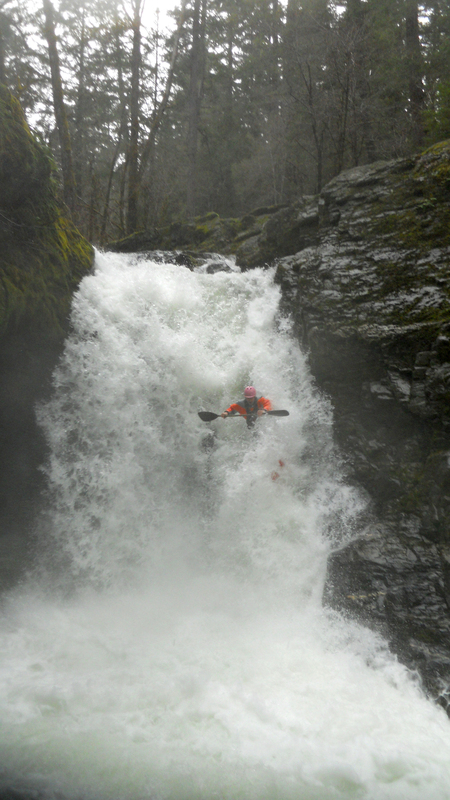 When the water levels rise high enough, a group of local kayakers take to Southern Oregon’s wild, backcountry creeks for adventure. I joined them on a trip down the upper Applegate River, a wilderness stream of fast water and gorges above the reservoir. 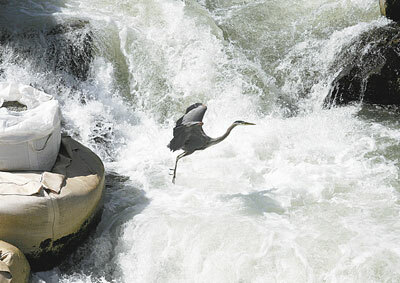 Great blue herons are plentiful in the Rogue Valley, but I didn’t know much about them until I talked with two experts. In this question-and-answer, they share some interesting tidbits about a bird that I’ve always found both majestically beautiful and somewhat awkward-looking. 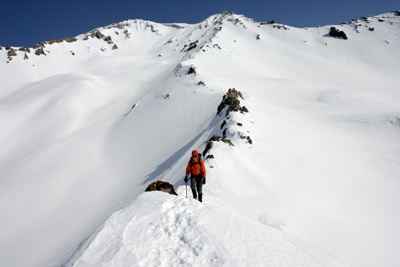 A winter climb on Mount McLoughlin, the highest peak in Southern Oregon, is both an exciting and dangerous trip. It requires snowshoes, crampons and an ice axe, and ascends a total of nearly 5,000 feet, making it a more difficult than the popular summer hike. 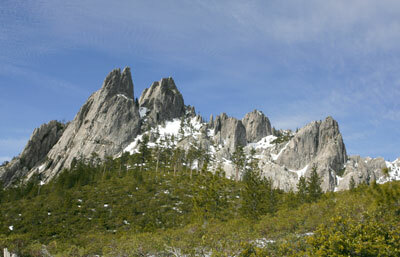 Northern California's Castle Crags State Park features seven spectacular hiking trails, a campground and easy access from Interstate 5. But the real adventure comes from attempting to climb these peaks. 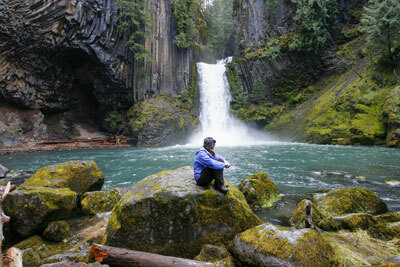 The recent film, “A Wild American Forest,” focuses on Southern Oregon and Northern California’s immaculate wilderness. 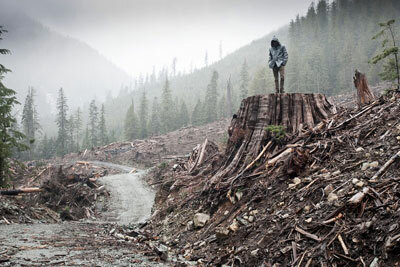 But the film, being shown on PBS in 30 different markets and narrated by Academy Award winning actress Susan Sarandon, presents a viewpoint that can be seen as disproportionately pro-environment. Here’s my review, along with a conversation I had with director Doug Prose. 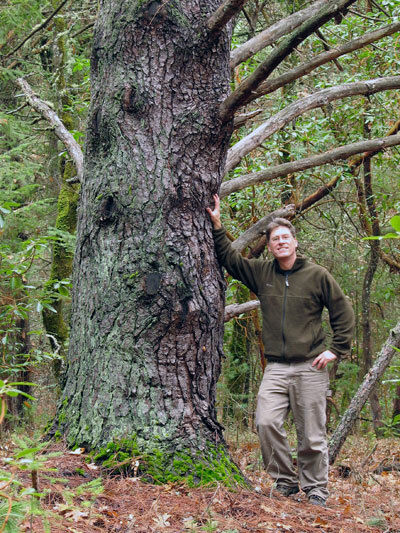 The Cathedral Hills Trails System, which is just a few minutes south of Grants Pass, is home to two Oregon state champion trees -- a whiteleaf manzanita and knobcone pine. 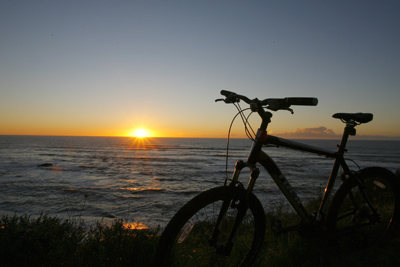 A mountain biking trip through the Redwood National and State parks system features views of old-growth trees, misty ocean bluffs and, every once in a while, naked people running along the beach. There's few items as important as a book when you're traveling through the outdoors. Here's a long list to get you started. 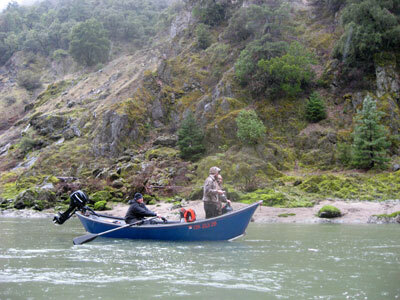 Fishing stories have become more difficult to tell in the age of social networking website Facebook, as I learned during a Rogue River trip that nearly resulted in the destruction of a $6,000 camera. 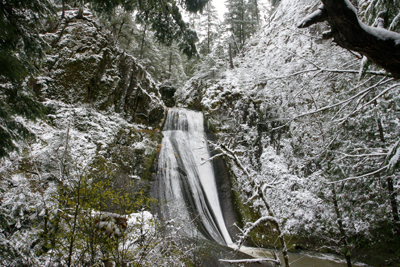 Searching for waterfalls in the snow — or winter waterfall hunting — is a great activity during the year's coldest months. 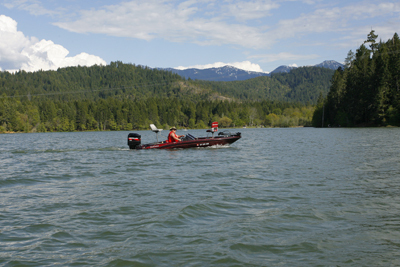 The fishing at Diamond Lake was outstanding in 2010, and has shown the ability to rebound from the years that it was plagued by blue-green algae and invasive species. 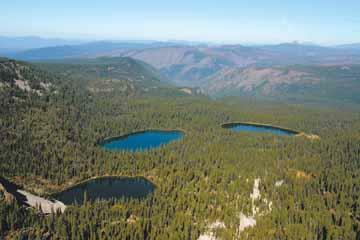 Autumn is the best time to go backpacking or hiking in the Sky Lakes Wilderness -- one of the most popular wilderness areas in Southern Oregon -- due mainly to the lack of mosquitoes and people. The Pine to Palm Endurance run — Oregon's only 100-mile ultramarathon — provides a grueling test as it takes athletes through some of Southern Oregon's wildest backcountry mountain trails. 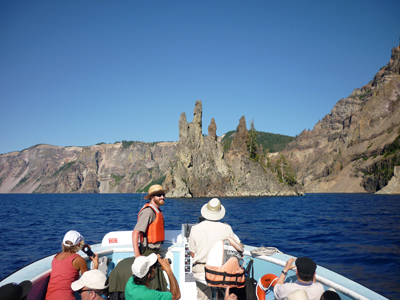 There’s no better way to experience Crater Lake National Park than going on a boat tour and getting dropped off at Wizard Island. Those crazy enough might even try diving into its crystal cold waters. Want to shoot like a National Geographic photographer? Here’s a few steps you can take to get better outdoor pictures. 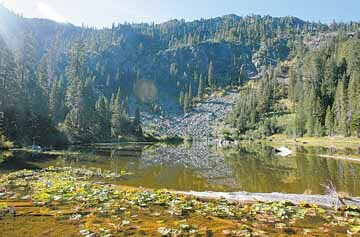 Northern California’s Marble Mountain Wilderness is a backpacking paradise, packed with alpine lakes and wildflower valleys. Here's a guide to exploring this area's magic landscape. 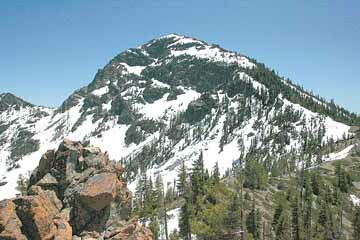 Northwest California’s Siskiyou Wilderness is home to craggy Preston Peak, which at 7,309 feet is the area’s highest summit. 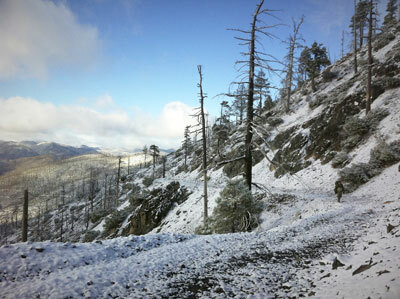 Climbing this monolithic king of the Siskiyou Mountains is an undertaking not soon forgotten. 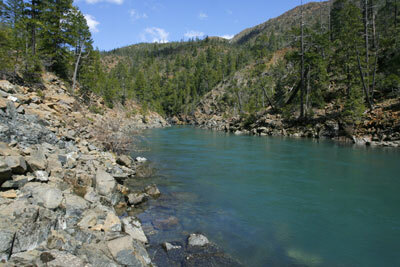 The Applegate River below the reservoir is one of the least kayaked sections of river in Southern Oregon. On a day in June, I decided to check it out during a two day trip. 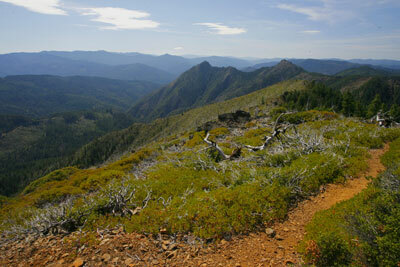 The mountains of Southern Oregon and Northern California are filled with great backpacking destinations. Here are five to try. 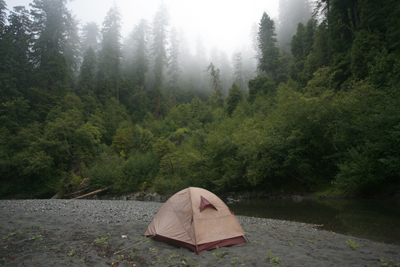 Redwood Creek, near Orick, Calif., is the only place within the Redwood National and State Parks system that allows backpackers to choose their campsite within the ancient forests. The unexpected gift of a free afternoon in spring means one thing: go fishing. 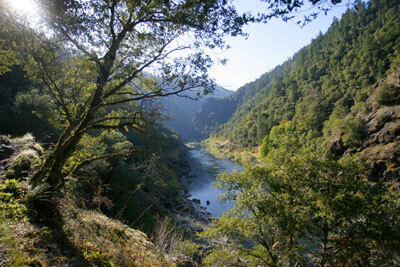 I decided to head south to Lake Selmac, Josephine County’s largest body of water, or risk angering the Almighty. 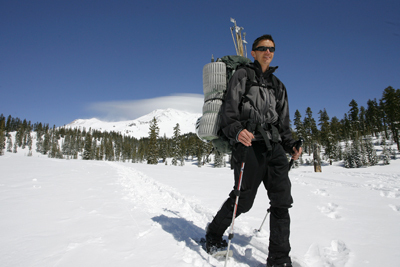 There’s nothing better in the winter than going cross-country skiing at Crater Lake National Park and snow-camping on the rim. It might be cold, but the morning sunrise is impossible to beat. Want to impress that someone special? Take them on a hike to a waterfall. Here’s how to make it happen. 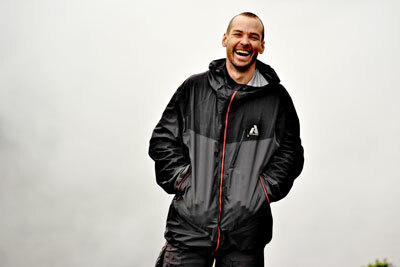 On March 27, 2010, Thomas Bennett was trapped near the 14,130-foot summit of Mount Shasta during a snowstorm and eventually died due to severe altitude sickness. 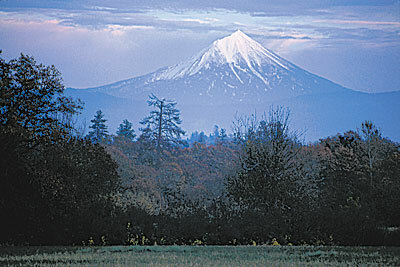 I was climbing Mount Shasta the same day using a different route, and also suffered from altitude sickness. 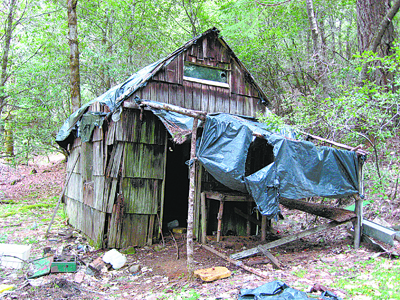 This is the story I wrote for the Grants Pass Daily Courier when the news broke. 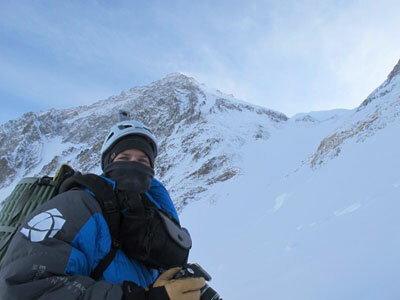 Rogue River High graduate Brian Dickinson is on a quest to climb the "Seven Summits," a journey that will take him to the highest point on each of the world's seven continents. I sat down with him to discuss his plan along with how to survive on the mountain. 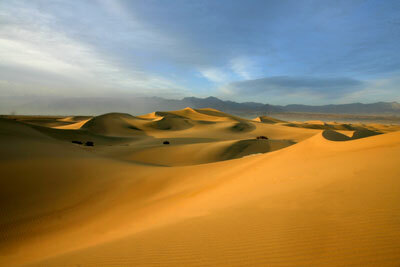 Death Valley National Park is one of the hottest, dries and lowest places on earth. It’s also one of the most beautiful to explore, as I discovered on a trip through its sand dunes and canyons. 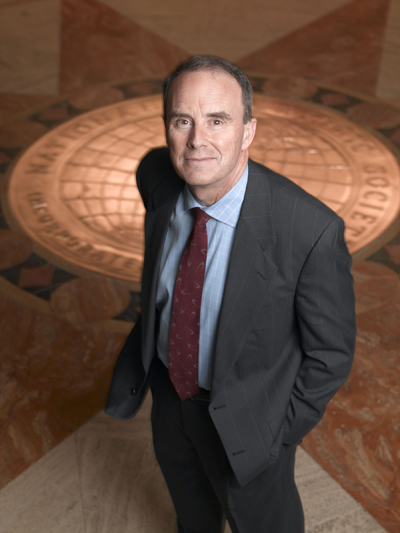 Chris Johns, the editor in chief of National Geographic magazine, grew up in Central Point and developed his love for the outdoors in Southern Oregon. Some mornings you wake up and just need to disappear into the wilderness. 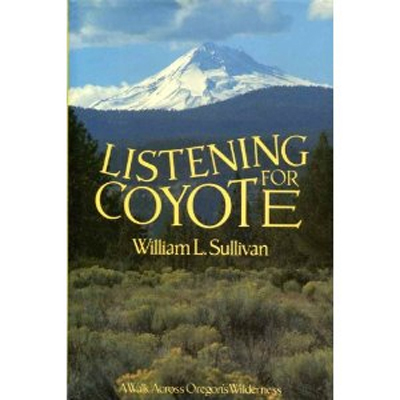 A good place to make that happen is the northern edge of the Siskiyou Wilderness, near a lake without a name and a valley without a trail. 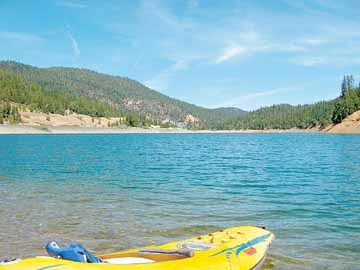 In 1976, the Army Corps of Engineers began the work of creating Applegate Reservoir. The transformation fundamentally changed the valley, river and most of all the people. Here are stories of people who had their lives changed by the reservoir’s construction. 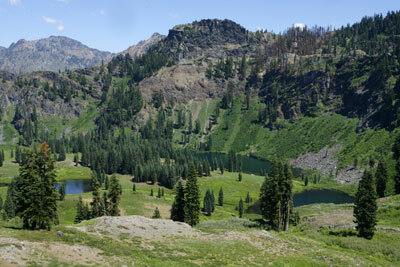 On the far west side of the Kalmiopsis Wilderness, Vulcan Lake is a wonderful and odd destination. My trip there involved being stuck in a rain cloud for much of the trip. 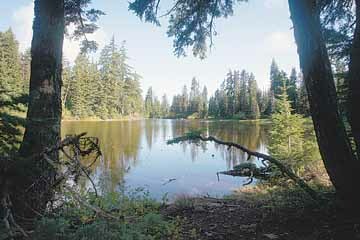 Bolan Lake Campground and Tanner Lakes are the most scenic mountain destinations in Josephine County. Both are easy to reach as well, and make perfect spots for families. 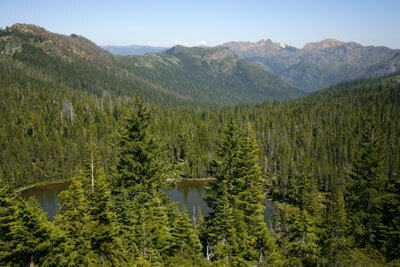 Azalea Lake is the largest body of water in the highly remote and strangely beautiful Red Buttes Wilderness. The trail, which begins in Oregon and travels across the California border, is so wild in some places that it’s easy to get lost ... something I experienced first hand. 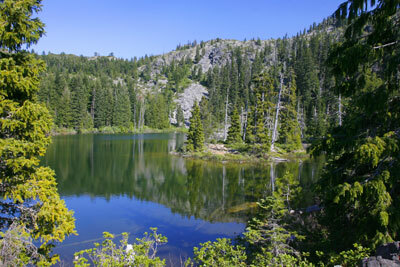 Bigelow Lake sits in a glacier-carved cirque just a few miles from the Oregon Caves National Monument, and is surrounded by unique wildflowers found few other places. 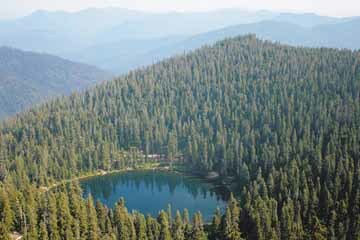 Devil’s Punchbowl is a small emerald lake surrounded by massive silver cliffs in the Siskiyou Wilderness. It’s one of the most spectacular destinations in the Southern Oregon/Northern California area, but reaching it does require some work. 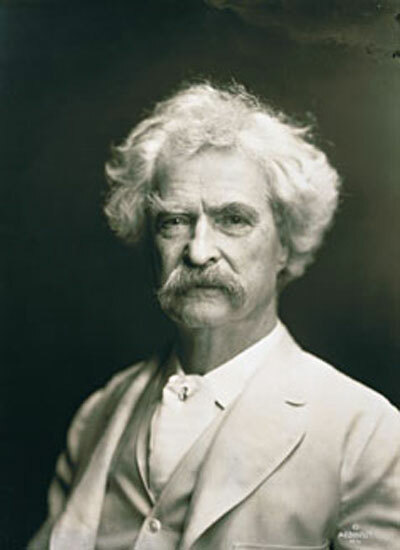 Here’s a a few of the best outdoor books from Jon Krakauer to Mark Twain. It’s a collection sure to keep your mind outside, even if the weather is keeping you indoors. A hike from Sunset Bay State Park to Cape Arago offers wonderful beach views along with access to a unique floral garden. 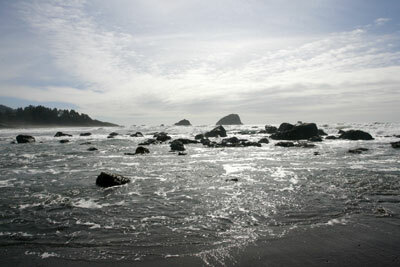 Its weather also answers the question of why Oregon’s South Coast isn’t a spring break destination for college students. 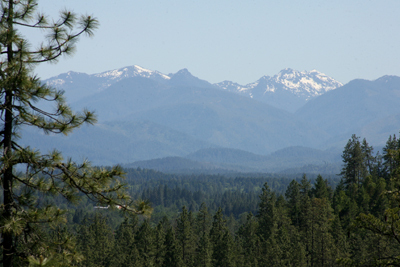 The Siskiyou Mountains are one of the strangest, oldest and most remote ranges in the United States. Here's some tales of its bizarre history, and the rest people travel into these mountains. 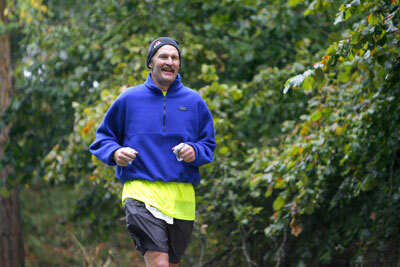 Grants Pass' Cathedral Hills is an excellent spot for running ... especially compared to treadmills. There are a number of options for those looking to get fit. The greatest fishing stories ever written are not principally about fishing, but rather use the sport to allude to deeper topics. Here are my favorite picks, including novels and short stories. There's a select group of people that never lost their childhood love of climbing trees. One of them is a Grants Pass-based group called "New Tribe," which takes people to the tops of 170 foot pines. 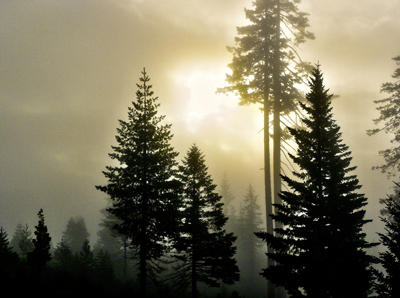 I joined them on a foggy day in the Siskiyou Mountains. The warm, carefree days of autumn always seem to end too quickly in the mountains. 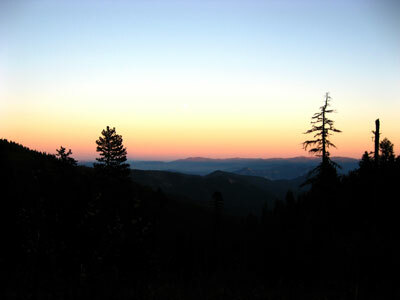 It was a lesson I learned on a climb up Grayback Mountain, Josephine County’s highest peak, and a night in a funky cabin in the wilderness. 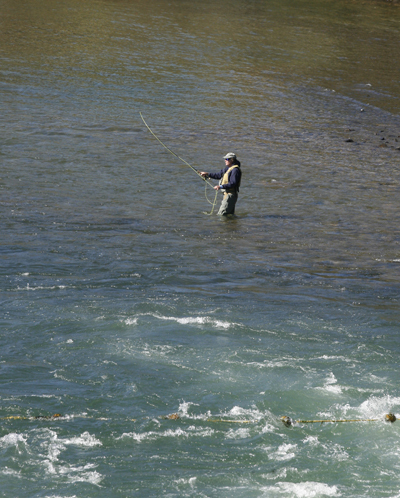 There’s nothing easy about learning to fly-fish. And between tangles, snags and the subtle art of casting, it can get frustrating. Still, the practice is worthwhile ... just be sure not to accidentally stab any one with your hook. Most people go fishing to escape the crowded hustle of towns and to get out into the wilderness. That’s why it felt a little strange to be fishing in downtown Grants Pass, casting for steelhead amid all the sounds of the city. 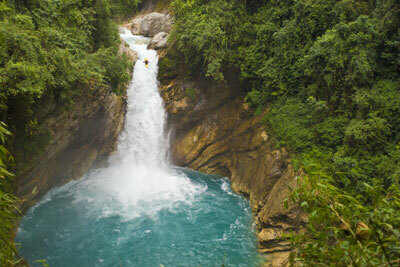 Shampoo commercials have forever been glamorizing the notion of taking a shower below a waterfall. I gave it a shot on summer afternoon at the Sky Lakes Wilderness’ Stuart Falls, a 40-foot cascade that gave me a solid morning beat-down. What exactly drives people to risk life and limb climbing mountains? I decided to find out during a hike up Mount McLoughlin, Southern Oregon’s highest summit, during a trip in which I met some unusual climbers. 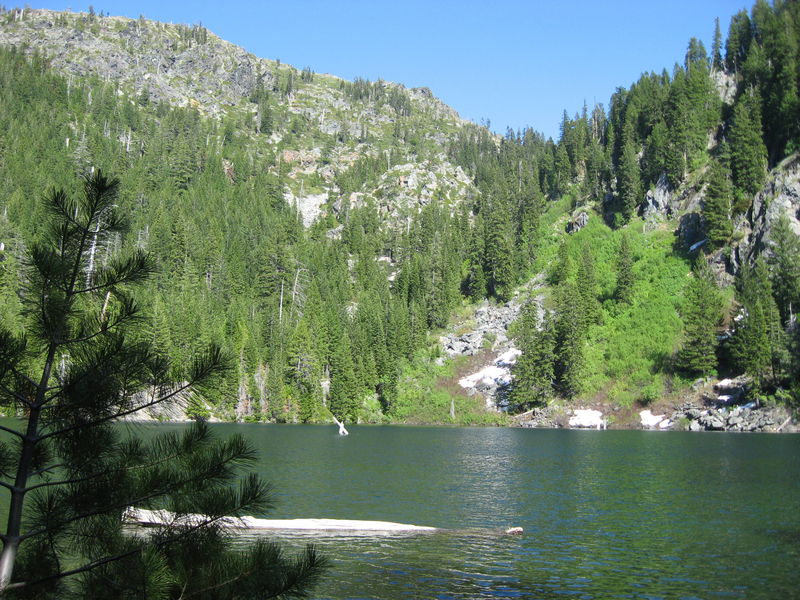 Few lakes in the Siskiyou Mountains can match the profound beauty of Raspberry Lake, a deep turquoise pool hidden in the wilderness. I backpacked there during an unforgettable trip in early June. 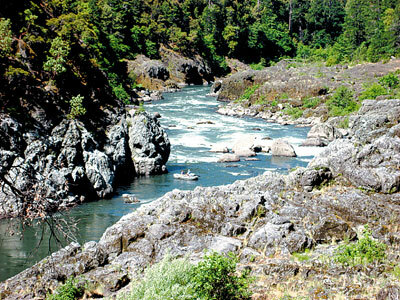 The Illinois River Trail provides backpackers with one of the wildest backcountry adventures in Oregon, full of amazing views, a thundering river and even some grumpy rattlesnakes. The Briggs Creek Trail takes hikers through a rich, forested valley full of spooky history, abandon mines and dilapidated cabins. It’s a fun and interesting place to spend the night. The Upper Rogue River Trail leads past the stunning Takelma Gorge, a place that presents catastrophic danger for dull-witted 25-year-old amateur photographers such as myself. 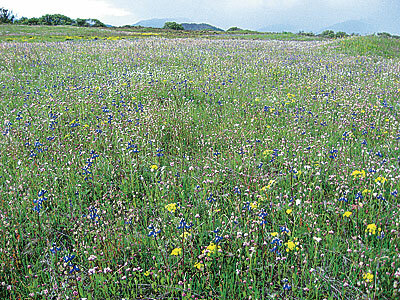 The Table Rocks, which tower above Medford and Central Point, burst with color during the spring, when the flat-top buttes are consumed with a carpet of wildflowers. 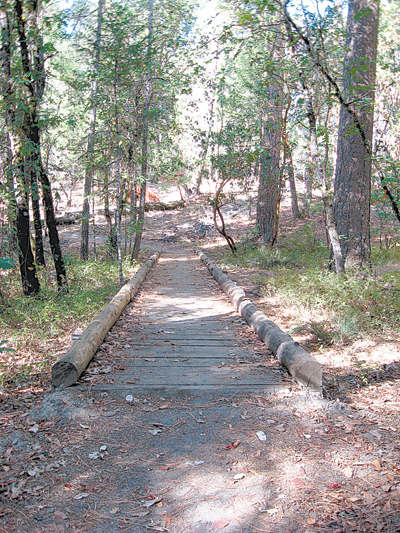 Big Pine Campground offers a nice system of trails in the Briggs Valley area. 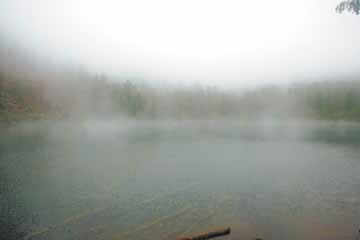 It's a nice place to hike, even if it happens to be raining. 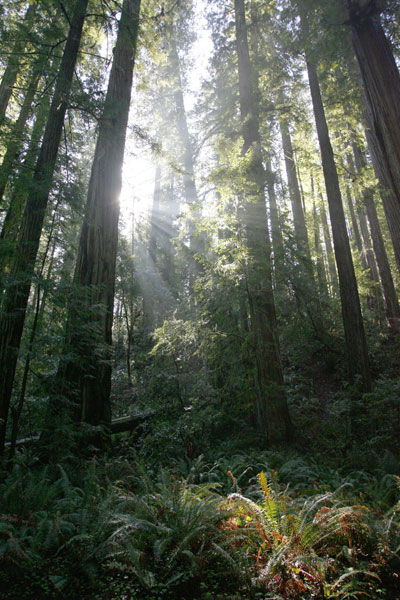 California isn’t the only place where you can find coast redwoods, the tallest trees in the world. 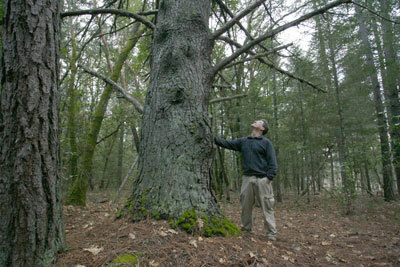 These old-growth monsters can also be found in groves on Oregon’s South Coast.